A special master has been appointed in the Judicial Tenure Commission’s case against 58th District Court Judge Kenneth Post in Hudsonville, who jailed an attorney for contempt after he repeatedly invoked his client’s Fifth Amendment privilege. According to the JTC’s formal complaint against Post, attorney Scott Millard was representing Ethan Whale at an arraignment before Post. During the arraignment, Post asked Whale whether he would be “clean or dirty” if given a drug test. Millard told Post that Whale would stand mute to Post’s question. Post insisted that Whale answer the question. After a recess, Post asked Whale directly if it was true that he didn’t want to reveal the last time he had used drugs. Millard interjected and said that was so. Post told Millard that he was talking to Whale, not Millard. After another recess, during which Whale was tested and came up positive, Post continued to question Whale directly about the last time he used drugs. Millard twice attempted to assert Whale’s Fifth Amendment privilege on behalf of Whale. Post cut him off each time and warned him that a contempt citation was on the way. Post persisted in his questioning of Whale. Millard persisted in attempting to assert Whale’s rights. Post fined Millard $100 for contempt of court. Millard again asserted Whale’s Fifth Amendment privilege. Post ordered Millard jailed for contempt. While Millard was in custody and on his way to the county jail, according to the JTC’s complaint, Post summoned him back to court. THE COURT: Good thinking. The show is just beginning. You won’t get better tickets anyplace. I’d sit up close if I were you. THE COURT: The front row is good. Post told Millard, who appeared before him in handcuffs, that he would be released if he agreed to return to court with Whale and allow Whale to answer Post’s question. After some discussion Post again remanded Millard to jail. After an hour in jail, Millard was transported to the Ottawa County Circuit Court, in handcuffs and leg shackles, both attached to a belly chain. Circuit Judge Leo Post (no relation to Kenneth Post) ordered Millard released. The JTC’s complaint charged that Judge Kenneth Post failed to follow the law, displayed an improper demeanor toward counsel and trivialized a court proceeding. Judge Post admits that he made a mistake of law in not realizing that Attorney Millard’s instruction to his client not to respond in light of his client’s 5th Amendment rights was colorable and therefore that the holding of Attorney Millard in contempt was an abuse of his discretion. However, an error of law does not subject a judge to a violation of the Judicial Canons or to a violation anticipated by MCR 9.104(1) 9.205 (sic) or the Michigan Constitution or (sic) 1963 as amended in Article 6 Section 30. Judge Post admits that his remarks, as directed to Attorney Millard were sarcastic and possibly demeaning, and therefore constituted a “failure to be patient, dignified, and courteous to lawyers with whom the judge deals in an official capacity,” contrary to the Code of Judicial Conduct, Canon 3A (3), and that his conduct may have “eroded public confidence in the judiciary and that he failed to avoid all impropriety,” contrary to the Code of Judicial Conduct, Canon 2A. No word yet on a hearing date. Stay tuned. The Michigan Supreme Court has removed Inkster District Court Judge Sylvia James from office for judicial misconduct. that respondent misappropriated public funds, some of which were intended for victims of crime in the city of Inkster. She inappropriately spent much of this money on self-promoting advertisements and travel expenses for herself and various other court employees. 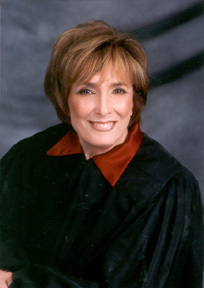 She treated these funds, as the master phrased it, as her own “publicly funded private foundation.” In addition, she (1) denied people access to the court by instituting and enforcing an improper business-attire policy, (2) employed a family member in violation of court policy, and (3) made numerous misrepresentations of fact under oath during the investigation and hearing of this matter. The cumulative effect of respondent’s misconduct, coupled with its duration, nature, and pervasiveness, convinces this Court that she is unfit for judicial office. Although some of her misconduct, considered in isolation, does not justify such a severe sanction, taken as a whole her misconduct rises to a level that requires her removal from office. Four of the Court’s justices, Chief Justice Robert Young, Stephen Markman, Mary Beth Kelly and Brian Zahra, signed Kelly’s lead opinion. In a separate opinion, Markman, joined by Young, concurred in removing James from office but said they would have gone even further. This Court has a duty to redress the harms done by Judge James’ harm, and that duty is not vitiated if Judge James is reelected. Nor is that duty limited to past harm; rather, it also extends to guarding against future harm. Imposing a six-year conditional suspension, which would be in effect throughout the next judicial term, is the only way this Court can adequately protect judicial integrity and redress the substantial harm caused by Judge James’s refusal to be bound by the same laws she is charged with applying. The Michigan Supreme Court has named Donald Miller, a retired Macomb County circuit court judge, to hear evidence of misconduct charges filed by the Judicial Tenure Commission against Wayne County Circuit Court Judge Deborah Ross Adams. The JTC, in Formal Complaint No. 89, charged Adams with lying under oath and forging documents in connection with her divorce. The divorce complaint landed in Oakland County Circuit Court Judge Mary Ellen Brennan’s courtroom after the entire Wayne County circuit bench recused itself. The JTC charges that Adams, while represented by counsel, frequently called Brennan’s office concerning her case, and persisted in doing so after being advised that such contact was inappropriate. The JTC’s complaint alleges Adams, while under oath, denied she had made the calls. The JTC further alleges that Adams forged her former attorney’s name on a motion and brief to set aside or modify Brennan’s judgment of divorce. Adams is also charged with making false statements to the JTC about the matter. The complaint alleges that Adams violated the Judicial Code of Conduct, several court rules and Michigan’s perjury statute. Miller will hear evidence and prepare a report for the JTC. The JTC, after a hearing, can then decide to dismiss the complaint or recommend that the Michigan Supreme Court impose one of several forms of discipline such as public censure, a suspension or removal from office. Southfield bankruptcy attorney Jeffrey David Thav has been suspended from practice for one year in the U.S. District Court for the Western District of Michigan. failed to meet the basic practice standards of this District in failing to show up for hearings on repeated occasions and despite multiple warnings from more than one Bankruptcy Judge in this District. Thav had been on an informal probation, designed by Bankruptcy Judge Scott Dales to address Thav’s failure to appear for scheduled hearings. The informal probation was lifted, after which Thav missed more scheduled hearings, prompting disciplinary proceedings under the Western District’s Local Rule 83.1(k). The panel noted Thav’s late payment of court fees. Thav’s required fee disclosures “in several matters appeared inaccurate, or at least incomplete, in some material aspects,” according to the panel’s order. who lives and works outside the [Western] District[,] [had] some kind of arrangement with an attorney who lived and worked in the Western District to cover [Thav’s] hearings in the [Western] District. It did not appear, however, that the arrangement was disclosed to or approved by the affected clients. Thav was engaged in a multi-district bankruptcy practice but was unable to meet the Western District’s “basic practice standards,” said the panel. A one-year suspension will give Attorney Thav an opportunity to consolidate his practice, concentrate his resources and build his legal and management skills to the point where he may well be able to handle a multi-district practice that includes … [the Western] District … . The case is In the Matter of Attorney Jeffrey David Thav. Administrative Order 12-019.